Neuroscience today tells us that a newborn’s brain begins its development in a kind of call-and-response experience, from the first moment we cry out from hunger and are met with a soothing gesture from a caregiver. The impact we have on other beings, and the impact they have on us, feeds the development of our “neural networks” – those patterns of brain activity that create and store our experiences. The idea that we grow “bushier neural networks” from the of ebb and flow of relational activity throughout our lives has given birth to the field of Interpersonal Neurobiology, whose most enthusiastic spokesperson on the West Coast is UCLA neurobiologist Dan Siegel MD. RCT’s notion of “self-in-relation” sounds attractive when it refers to an expansion of our sense of self-worth. So what can go wrong? Why are relationships so difficult to grow and maintain? Why is it that we are often afraid to interact with people whom we would dearly like to know? And how can it be that people who love each other still must weather scary moments of disconnection in their efforts to move together? Through the lens of RCT, what frustrates a “growth-fostering” relationship is the stratified arrangement of the world we come into at birth, and the fear of being marginalized by others with more status, more self-assurance, and history of cultural superiority. No matter how far we’ve come in various movements for equality, our civilization-and our place in it-continues in large measure to be stratified by age, wealth, race, gender, sexual orientation, education, white-collar/blue-collar, and by the diversity-or lack of it-in the families and communities we live in. In each of these areas, Power -the ability to get what one wants and needs-is most often experienced in competition for “power -over” others. Anita Frankel MA, MFT is a therapist practicing in the Silverlake district of Los Angeles. 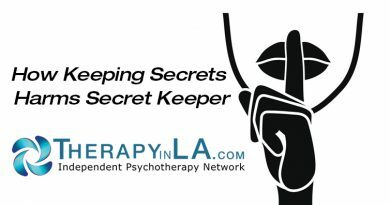 She is a member of the Independent Psychotherapy Network, and can be reached at (323) 661- 0297, or afrankel@earthlink.net.